I awoke before sunrise and repacked the buggy. I took a shower and changed into running clothes. 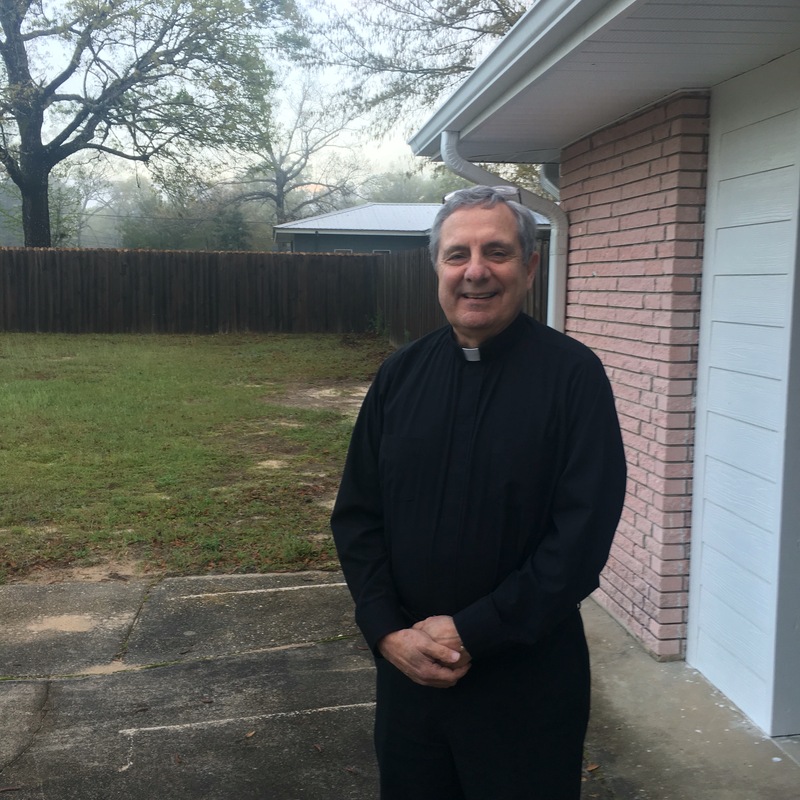 I said goodbye to Monsignor Tugwell, who has been very kind to me throughout Easter weekend. He even sent me off with lasagna, meatballs, potato salad, and other food! 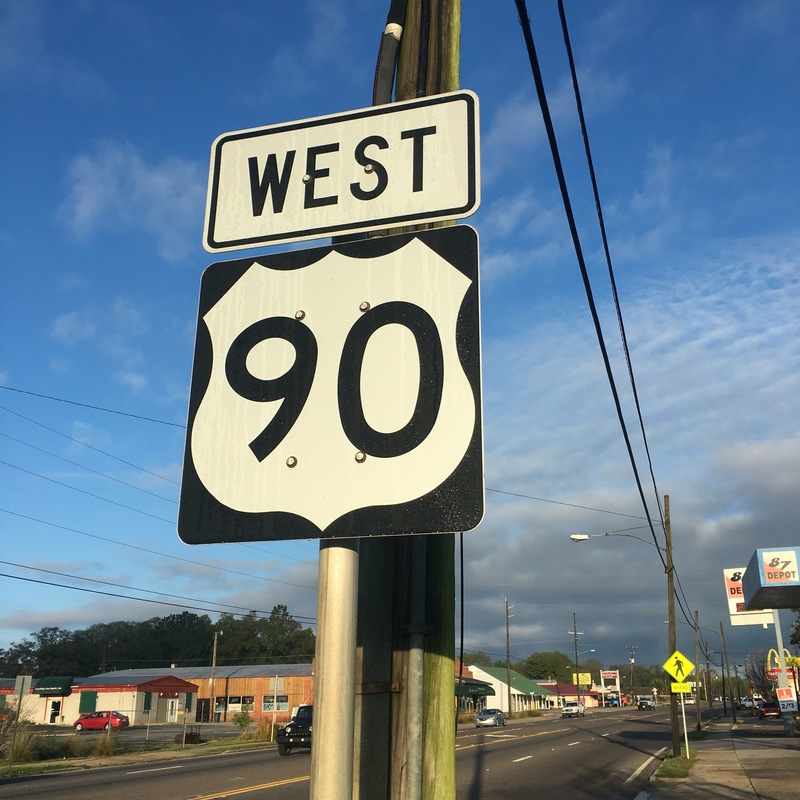 I headed into town and jumped on the 90. I was a few minutes behind on meeting up with friends. I rounded the corner about a mile or so outside town and Ernie and friends came marching around the bend! 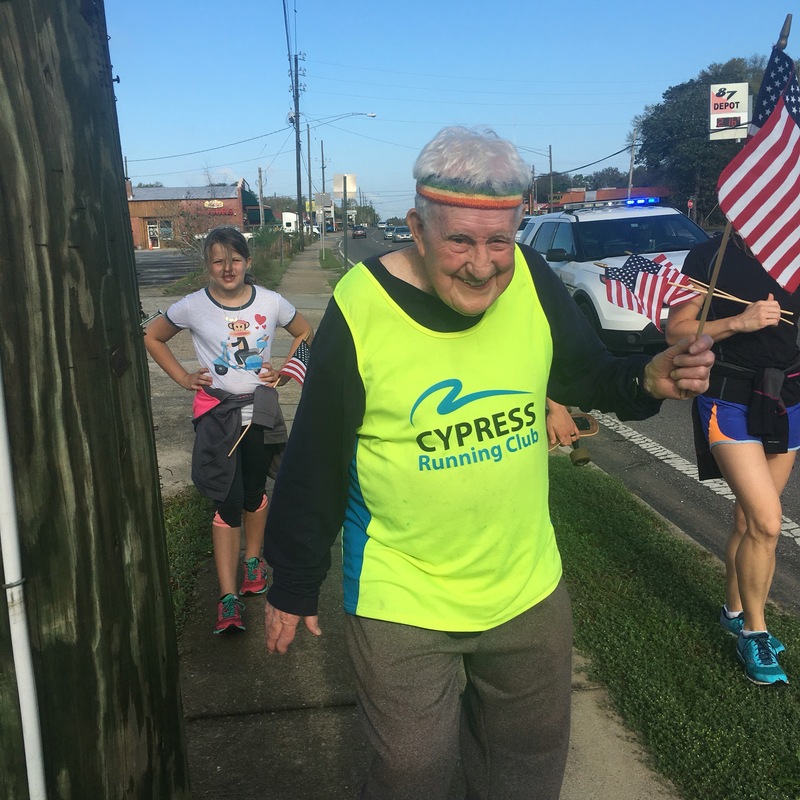 Ernie is 92 years young and currently running across America. He left the Pacific in October of 2013 and runs about 7 miles per day, 3 or 4 days a week. 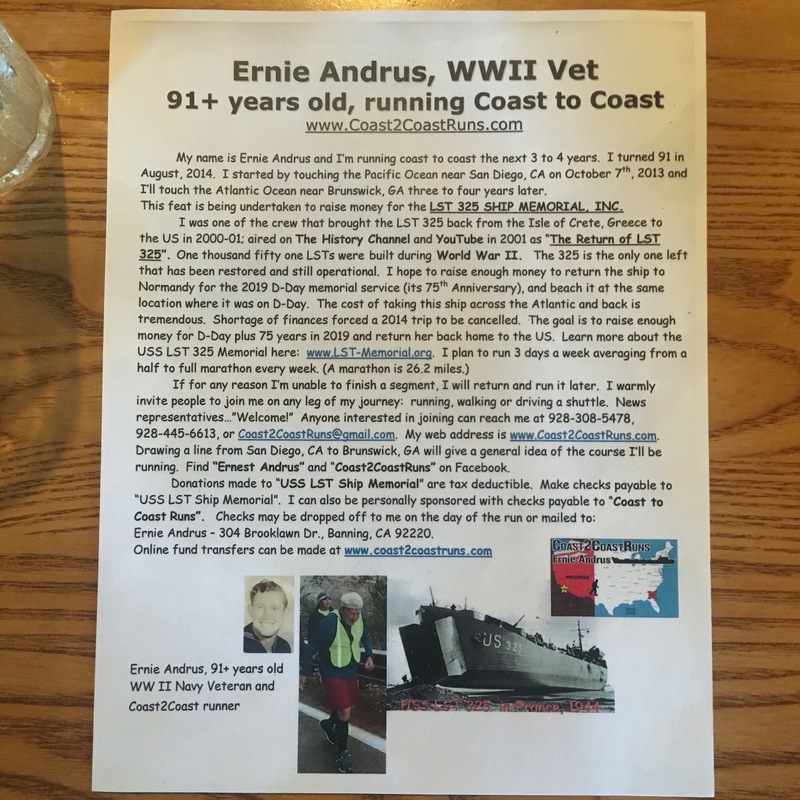 He is running to raise money to bring the LST 325, a ship the last of its kind, back to Normandy for the 75th anniversary of D-Day in 2019. 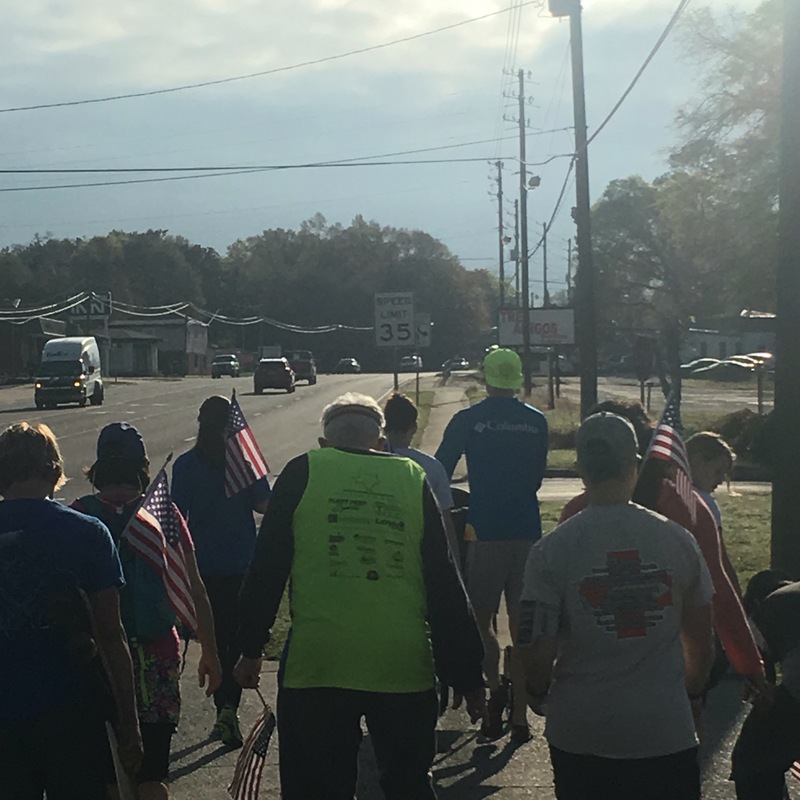 I had always dreamed of running across America, but thought it would be impossible. Then I found out about Ernie. In my eyes he is doing the impossible, a true hero! 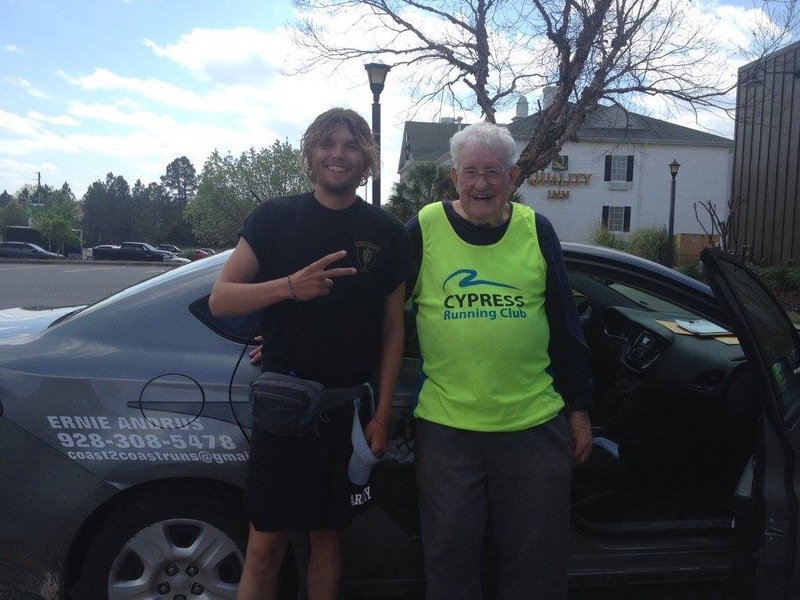 Just so happens, our paths crossed in Crestview, FL. A lot of locals showed up to run with Ernie, and we had a great time! The miles seemed to breeze by, as Ernie, a boisterous bull, shared stories from the road and distant memories from the past with each of us. We talked about my route and about the south-west. Ernie has great great grandchildren, and even had a four-generation run with his family one time. He told me it is likely he has great great great grandchildren, as one of his great great grandchildren got married a number of years ago, but he hasn’t heard from her in a while. Thats a lot of greats! 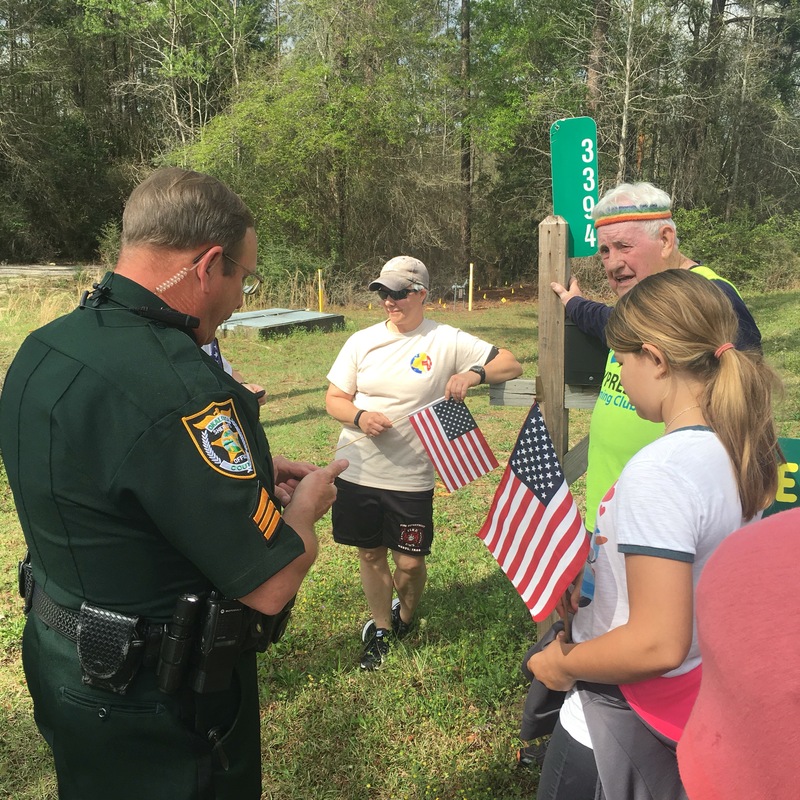 After reaching Ernie’s finishing point, the Okaloosa Sheriffs Department presented Ernie with a medallion in honor of four from the department lost in the line of duty. We all headed to the Cracker Barrel for breakfast. Tiffany and her children, Valerie and her son Tobias, Heather, Joanna, Amy, Courtni and Jermaine and their son Jackson, and Peter from Braintree, MA. And of course, it was really special meeting Ernie! 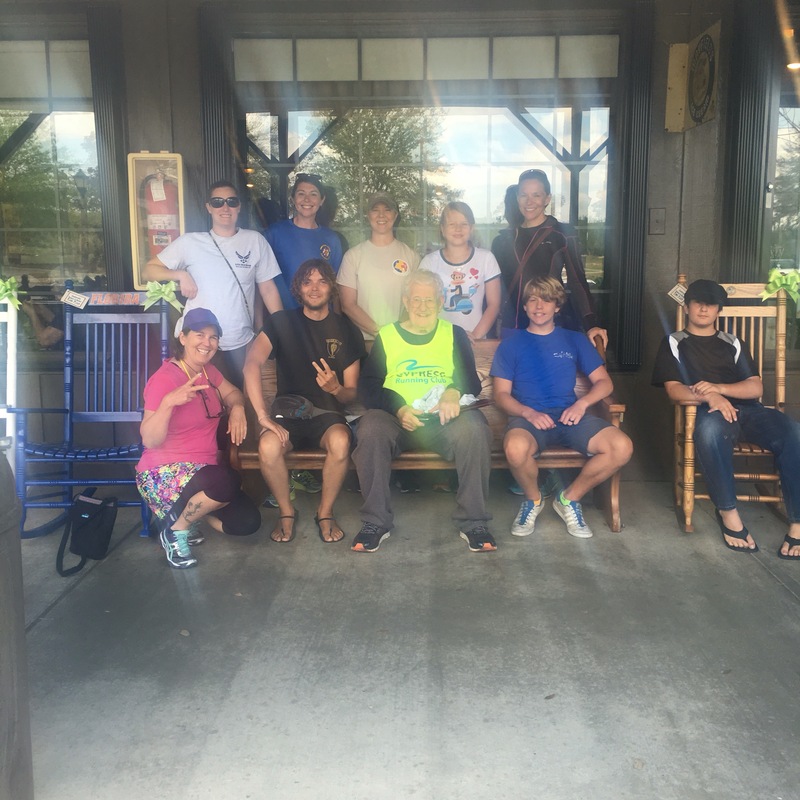 It was a great day, and after we parted ways Ernie drove off to his RV and Heather gave me a ride back to where I joined the group to head west. We chatted on the way back. Heather’s parents were missionaries in the Phillipines. Pretty amazing! 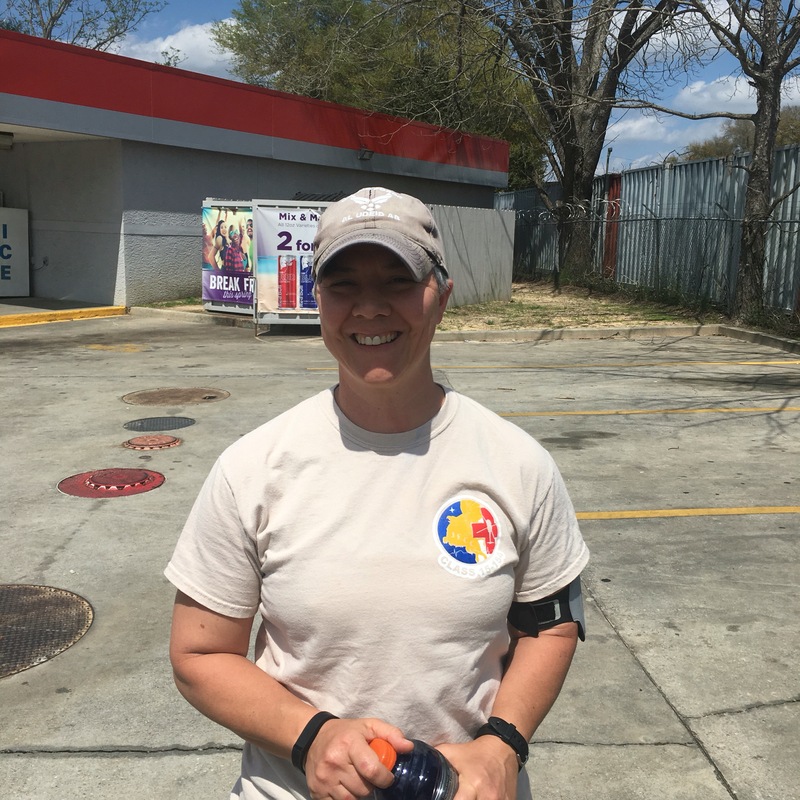 She and her friends served in the military and work at the hospital outside Crestview. They all follow Ernie and decided to run with him! Heather bought me some waters and gave me some money. So nice of her! I put in a half day and hiked to Holt, FL. 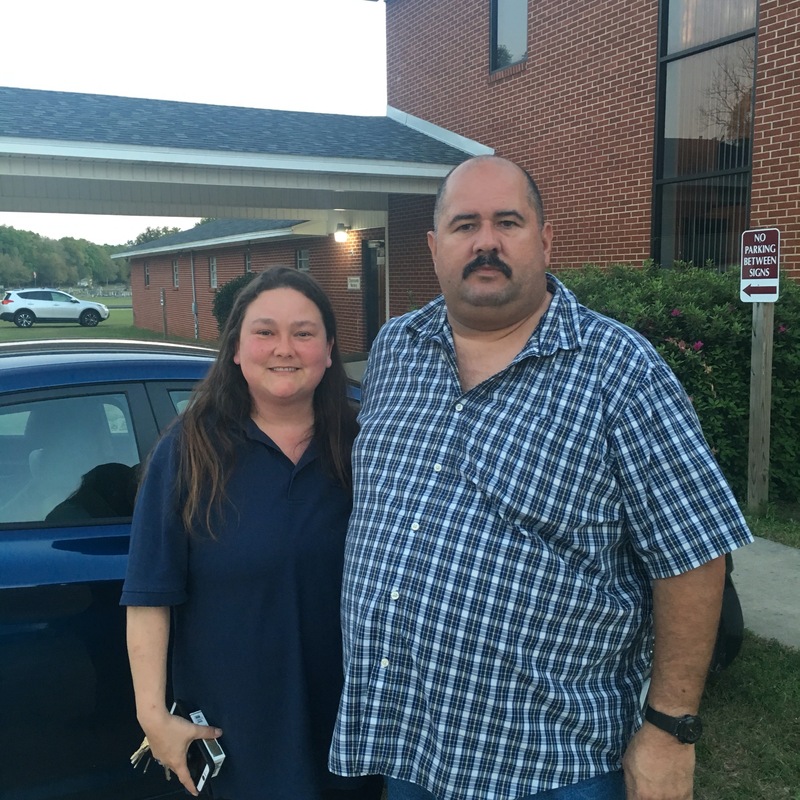 I showed up at the First Baptist Church and met William and Carla. They showed me a safe place to camp for the night and let the pastor know I would be doing so. I ate lasagna and watched the neighborhood comings and goings. It felt good to fall asleep in my hammock.